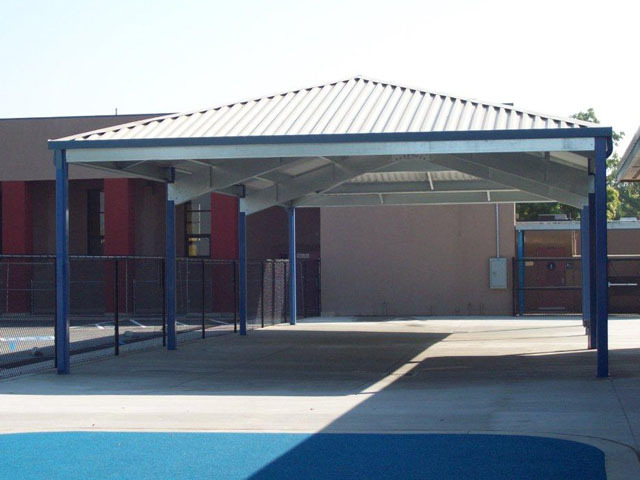 Galvanized Cee Beams, Corragated 26 ga roofing with option of standard, large or gutter trim. All posts can be ordered either galvanized or powder coated. This cover is 30' x 60' and can be enlarged up to 120' in length.